Urban Fantasy Series, such as Jim Butcher’s Dresden Files, Kevin Hearne’s Iron Druid Chronicles, and to some extent Charlene Harris’ Southern Vampire Mysteries, illustrate a weakness in current critical approaches to fantasy series. Put simply, when a fantasy narrative is part of a series rather than a stand-alone, a trilogy or a closed narrative system, many of our critical approaches to fantastic narrative break down. Urban fantasy series almost invariably begin with what Mendlesohn has termed ‘Intrusion’ fantasy, however, as each series progresses, the narrative shifts towards another of Mendlesohn’s taxonomic terms ‘Immersion fantasy’. The fantastic elements of the world building have a tendency to become more complex and feature more prominently leading to a distinct change in style of narrative, no longer does the fantastic intrude upon reality, the fantastic becomes the reality. Early instalments in the series feature intrusions of fantastic elements into the relatively mimetic diegetic setting or story world. These intrusions lead to the hero protagonist engaging with elements of the fantastic and resolving the problems created by the intrusion, Dresden defeating an evil wizard, Atticus fighting off faerie, and Sookie dealing with the repercussions of vampire Bill moving into the neighbourhood. Later instalments in these series move further away from this structure of intrusion and rectification toward a more accepting or immersive stance toward the fantastic and a more active exploration of the fantasy elements. Dresden routinely leaves the environs of Chicago to frequent exotic locales and other planes of existence, Atticus abandons Arizona in favour of visits to Tir Na nOg and Asgard, Sookie spends less time in the domestic settings of Bon Temps and begins to engage with the complicated politics and social structures of the supernatural world. In each case, the base line diegetic reality becomes more fantastical and less mimetic. Fewer mundane characters feature prominently, and a substantial portion of the dramatis personae are magical or fantastic in some way. Framing this in structural narratological terms. Rather than narrative tension being created through confrontation between the hero and an intrusive fantastical element, the narratives derive tension and impetus from interaction with and exploration of wider supernatural and magical realms. The hero is no longer preoccupied with the defence of reality from a magical intrusion, but rather the hero is engaged with a broader reality, it is just that the reality in question has now become fantastic. This then poses a question, if these series transition from intrusion fantasy to immersion fantasy whilst retaining a reader base and remaining ‘true’ to the series with no apparent or significant alteration of plot, story, character or type, what does the identification of intrusion or immersion really highlight and illustrate? Or perhaps less aggressively we could ask, given that these fantasy series are a continuation of an existing narrative, how can this transition be explained? What are the narrative structures being discussed? A standard structural approach to analysing narrative is to locate the source of the driving force of the narrative, the narrative tension. This can usually be found as existing between two opposing forces: The protagonist’s goal or desire acting in one direction and driving the narrative toward that, and a counter force that exists to thwart or counteract this put in play by the antagonist’s goal or desire which places obstacles in the hero’s path, or vice versa. The Heroes want to destroy the ring, Sauron wants to reclaim the ring. The detective wants to solve the murder, the serial killer wants to go on killing. The Martians want to invade Earth, the Heroes wish to repel the invasion. It is a nice, straightforward, if slightly reductive way, to visualise narrative tension. Of course there are other ways of framing this conflict that take into account broader concepts. Vladimir Propp created an outline to a hero’s journey in his work Morphology of the Folktale. Simplistically put, he suggests that a lack or wrongness initiates a call to adventure, the hero then journeys and passes trials before redressing this lack and concluding with a restoration and healing of the world order. Joseph Campbell’s Monomyth, posits a similar narrative trajectory that moves from a diegetic story world that has been disrupted, the rising of a hero to counteract this disruption and the resolution of the adventure in which the disequilibrium is negated and the world order is restored. John Clute, in The Enclyopedia of Fantasy suggests the concept of the ‘Full Fantasy’ which posits that the adventure begins with a wrongness of the land, which, following the successful hero’s journey, is redressed, and the land is healed and restored. So despite the variants and intricacies of each of these approaches, there is apparently an underlying pattern here of the supposed structural narrative paradigm of a fantasy adventure. How does this then relate to Mendlesohn’s concept of the intrusion fantasy? The trajectory of the Intrusion Fantasy is straightforward: the world is ruptured by the intrusion, which disrupts normality and has to be negotiated with or defeated, sent back whence it came, or controlled. A mimetic reality is placed into disequilibrium/wrongness/lack by the intrusion of a fantastic element which does not belong. So in effect, the mimetic, mundane world has been disrupted by a fantastic intrusion. The hero then seeks to remove or resolve this by attempting to remove/defeat/contain the intrusion and return the world to the status quo, therefore returning the world to normalcy and mundanity. So far so good. It all seems straightforward. All these models seem to agree. Rather suspiciously one might feel. So is that what happens in Urban Fantasy Series? In the case of Storm Front, modern day Chicago is under magical attack, the police are out matched and don’t really understand what is happening, and the only wizard listed in the phone book is Harry Dresden. Harry, who is perceived as a charlatan by a number of the characters, acts as a private investigator and consultant to the police. He eventually tracks down the evil magic user and defeats him, thus saving the city, protecting the mundanes from knowledge of the supernatural world, and returning to his apartment to await the next case. So the majority of the narrative focuses on Harry’s efforts to track a supernatural killer on the streets of modern day Chicago whilst hiding this information concerning the fantastic from the police. In effect, Harry acts as a supernatural guardian protecting the mundanes from a fantastical world they are not ready to, nor capable of, accepting. The narrative tension is created through Harry’s drive to protect the innocent civilians of the city, solve the case, prevent himself from being killed by the intrusion of an evil fantastic element that does not belong in his city and to bring the villain to justice. A fantastic intrusion disrupts the mundane reality. The Hero seeks to correct this wrong. The Intrusion is contained, normality resumes and the narrative ‘resets’ ready for the next adventure. So far Mendlesohn’s, as well as Campbell, Clute and Propp’s, narrative structures hold true. The next example is Book one of Kevin Hearne’s The Iron Druid Chronicles – Hounded. Attitcus, the 2000 year old or so last remaining Irish druid, is living peaceably in modern day Arizona. Some faerie characters arrive having finally tracked him down, including some of the Sidhe, they cause havoc as Atticus attempts to counter them and protect the locals from being exposed to the supernatural elements, he defeats them and ultimately the world returns to normal at the end of the book. So clearly the arrival of an unwanted fantastical element, the faerie and the Sidhe, create the narrative tension in the book, or to put it another way, the fantastic intrusion creates a disequilibrium which much be opposed and thwarted by the hero to resolve the problem and return the world to normalcy. So in the case of Book Ones… or should that be books one… Mendlesohn’s taxonomy, like that of Campbell’s, Clute’s, and Propp’s, appears to be an accurate narrative template. They each describe what is happening within the text in solid reasonable and identifiable terms. A wrongness, lack or intrusion begins the tension. The hero progresses through trials and adventures before ultimately repelling the intrusion and righting the wrong. The world is returned to equilibrium. But, what happens when we consider later books in these series? While initially these series appear to begin as intrusion fantasises with mundane mimetic realities which have been invaded by fantastical elements, the later books have embraced the fantastic reality and there is a more active exploration in the narrative of the magical or supernatural potential in these story worlds. Or more accurately, the fantastic has become normalised and magical or supernatural has become matter of course. 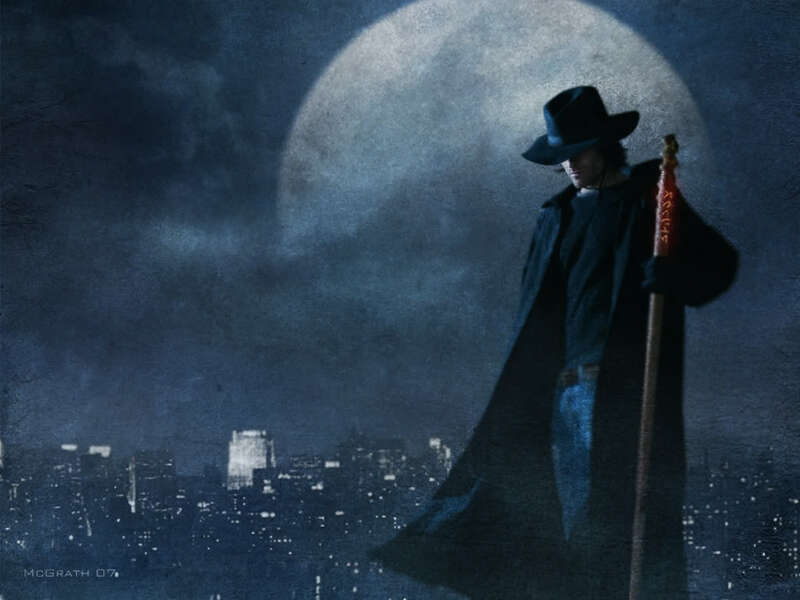 In Changes (book 12) of the Dresden Files as the title suggests marks a radical change to the main series and signals how the series will transition. Harry’s points of connection to Chicago, his car, his apartment and his office are destroyed. Harry’s hitherto unknown daughter has been kidnapped by Red Court vampires, and even with the resolution of the narrative Harry cannot become a father to her and thus fully embraces a magical existence. The narrative culminates in a journey with his faerie godmother (faerie with an ‘ae’), his apprentice Molly, his brother the White Court succubus Thomas, a magical dog, two half-vampire vampire hunters, and another group of wizards as well as mercanaries strongly linked to Norse Mythology, to Chichen Itza via the Never Never, to battle hundreds of vampires, their familiars, servants and vampire masters. It is a full blown epic battle, in an exotic location with only a passing resemblance to the real world locale, populated by hundreds of magical and fantastic characters. Many of the major aspects of the novel focus on the politics of the supernatural realms such as the vampire courts, the council of wizards (The White Council), the Faerie courts and the holy knights of the church. Few of these aspects are directly explained to the narratee, as there is an assumption that with the 12th book in the series readers will already be familiar with each of the concepts. The tone and style are clearly immersive given this assumption of knowledge. And there is a shifting of the tension from a passive counter-action in response to an intrusive element to an active journey and quest adventure to battle fantastic elements in a magical locale. This is a quest to find and rescue Harry’s daughter, not to stop the intrusion of Red Court vampires into Chicago. The destruction of the Red Court vampires does not reset the world ready for the next adventure. So what has changed and how do we explain this? So firstly let’s examine the function of the mimetic setting. The mimetic setting, be it Chicago, Illinois or Tempe, Arizona establishes a base line diegetic universe or setting for the reader. It suggests a diegetic reality that is easily understood and negotiated given its cultural verisimilitude and implied ‘rules’. It is an easy to understand reality about which the reader can make a series of assumptions and educated guesses. Gravity will function, police and fire trucks will respond to emergencies, characters have to pay taxes. In effect, it eases the reader into a state of assumed security and comfort which can then be intruded upon by a fantastic element to unsettle, entertain, or entrance the reader, depending on the author’s intention. By establishing this base mundane norm, any fantastic element will seem ‘more fantastical’ by contrast. But it will also create certain expectations about how the fantasy elements will be explained within the setting. There must be a rationalisation of the fantasy. For instance, if dragons exist and are flying around, why have they never been seen (an issue with the Harry Potter universe). If vampires exist, why have they never been caught, and so on and so forth. There must be a reason to explain their existence in ‘our’ reality. The author must find various ways and means to allow the reader’s perception of reality to coincide with the diegetic reality created but make the inclusion of potential fantastical elements both believable and credible. This is a clear distinction to secondary world fantasy in which entirely fantastical worlds can be created that function perfectly rationally according to entirely different rules and versimilitudinous norms. The reader’s understanding of reality can then be subverted or played with by the author in order to create the desired effect. In horror, sinister, frightening or disturbing elements may be emphasised. In urban fantasy it tends toward the more wondrous end of the spectrum. To put it in the vernacular, Excitement, adventure and all things that a Jedi does not crave. In essence then, a mimetic setting provides the initial cultural, geographical context for the narrative, as well as implying a number of base norms about the diegetic reality that function as a shorthand notation to explain the rules of the diegetic universe, leaving the author to explore and explain only those aspects that do not conform to our base reality. Therefore the appearance of an initial mundane reality circumvents the need to establish a base norm as it is already implied. It avoids the necessity of explaining how the world functions. It also provides a mundane contrast to potential fantastical effects to heighten the impact of the intrusion and create wonder. And lastly, it provides a continuous and re-usable setting for fantastic stories. Our world keeps on spinning and so too does the diegetic reality of a series. We then have the altered structure of ‘series’ to consider. Series are part of an extended narrative – There is no ‘conclusion’ to the narrative or story world that results in true resolution, but there must be a meaningful end to the episode to provide closure and to resolve aspects of the story. But series are ongoing adventures. Each building on the last. So we commonly have an Escalation in each subsequent instalment and a desire for the new, be it adversaries, locations, concepts or effects. As each episode ends there is a desire to level up characters, give them new powers, to ratchet up peril, tension and goals for the next story. To use an example from Buffy the Vampire Slayer. In the first episode a single vampire can be a challenging foe, by the end of season 3 ‘normal’ vampires are now incidental villains that can be easily dispatched. Heroes grow more powerful and adept as they grow and therefore their challenges need to escalate to match that, which is very much a concept borrowed from RPGs and the idea of character levelling. Practical matters of the author reader relationship also need to be addressed. Unlike with a book one or a standalone narrative, there is an established readership who are already well versed in the reality as the series progresses, therefore there is no need to re-explain the base-line reality each and every time. Thus the style of the narrative can become much more immersive as there is an assumption of narratee knowledge and understanding. A reusable setting or diegetic world, is a necessary part of a serial narrative. Should the world be healed and resolved then there are only a certain number of times and ways it can be re-imperilled without sounding contrived or trite. An example of this problem can be found in David Eddings’ Belgariad and Malloreon quintets, in which the world ending narrative of the first five books is essentially repeated in the subsequent five book series. He then repeats this pattern with the Elenium trilogy and its sequel, the Tamuli trilogy. In each case he simply repeats the narrative pattern and structure of the first story in the sequel with minor variations in setting and character. Fundamentally then, the series has transitioned from a closed narrative system to one that is open-ended and that must continue to evolve and grow, adding new elements and greater threats. The hero must become more active and seek out adventure rather than passively wait for an intrusion to disrupt normality. In fact, as the series progress, they become more and more like portal quests conducted over many instalments. This results in many of these series becoming immersive, portal quest fantasies that alternate between passive and active reactions to Intrusion in a cycle of escalating power dynamics. An interesting aspect of the move toward immersive fantasy is that heroes gradually accumulate several magical helpers and allies, resulting in the construction of a balanced party of individuals which is of course a trope of the portal-quest or the quest adventure. They end up touring various new lands and finding more acquisitive plots rather than the defence of an established territory. Therefore, series are fundamentally different to assumed closed narratives and the existing critical paradigms we use. Given the recurring use of setting, the continuing development of characters over the course of a series, the need for new adventure after new adventure. In effect, the need for new interesting developments, growths, settings, locations and adventures, there can be no closing of the narrative to allow for the traditional ending and resolution of the story. The fantastic intrusion is too passive a structure for the acceleration of growth of character and development and exploration of the diegetic reality.